Come see us March 21 at Dickens! Here’s a little preview, this song was recorded live at Dickens in December 2017. 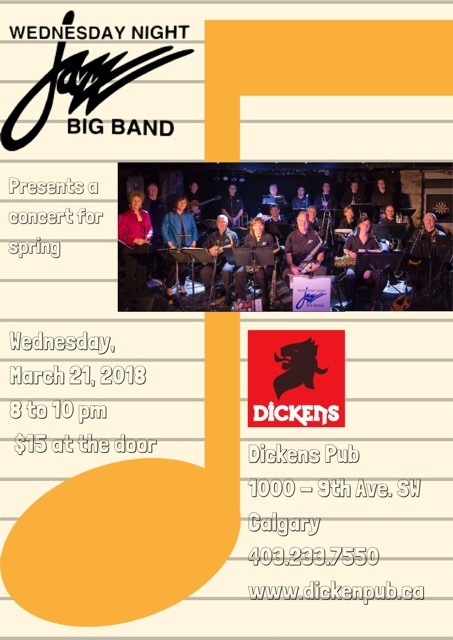 Wednesday Night Big Band at Dickens Pub from John Abraham on Vimeo. Some clips from the WNBB Big Band, come see us at Dickens!